Marketing ideologies have become increasingly popular in the eLearning industry in recent years. Even if the primary goal is knowledge retention rather than boosting sales, there are marketing techniques that can be used as powerful online educational tools. A call to action is a perfect example of this. While it may often be used on commercial websites, it can also make eLearning courses even more powerful and engaging. In this article, I´ll dive into the basics of a call to action in eLearning and I’ll give some tips you can use to start using them in your eLearning course design. A traditional call to action is an image or phrase that is geared toward encouraging site visitors to click through to another page, where they can sign up or purchase a product or service. On the other hand a call to action in eLearning is not sales-driven. While they rely upon the same basic principle of “clicking through”, they serve to motivate learners into engaging and interacting with the eLearning course. In the most basic of terms, any button, clickable image, or link that inspires or motivates a learner in any way is a call to action. It may come in the form of a flashing arrow that poses a question, or an emotionally-compelling image that the learner finds relatable or relevant. Whatever the case may be, calls-to-action must stand out from the rest of the other eLearning content of the page and prompt the learner to make a decision. Make them prominent on the page. The most important aspect of a call to action is that you must direct your learner's attention towards it. It cannot be blended into other groups of text or be overshadowed by other images. It must be highly visible to gain learners’ attention. For example, placing a call to action on the right side of the page is often beneficial, as learners will scan the page from left to right in order to read a word or sentence written in English. If it’s a pure-text call to action, make sure that you use a distinct font color and/or that the text is bold, so that learners cannot miss it. The action should be clear and concise. The action that you are trying to encourage should be simple and straightforward. Learners must not have any doubts about what they should do or why they need to do it. For example, rather than creating a ten word call to action that walks them through what to do next, formulate one that is clear and concise, such as “Start Here” or “Download the eBook Now”. The last thing you want is your learners to be frustrated by the call to action or not even to realize that it’s calling them to perform a specific action, in the first place. Your learners need to feel as though there is a sense of urgency behind a call to action. For instance, if you want them to enroll in an eLearning course, mention that “places are limited”. This creates a sense of urgency and prompts them to click the button, the soonest possible. Otherwise, they will most likely put it off and then forget about it entirely. As the saying goes “out of sight, out of mind”. Enticing them, therefore, to click the specific call to action button now should be a top priority. Emotions help humans to choose and then, our decision is reinforced by logic. This is why it’s essential to pull at your audience’s “heart strings” and build an emotional connection through your call to action. You want your learners to emotionally invest in the eLearning experience and get excited about clicking the image or button. Tell them, briefly, about the benefits that they can expect to receive when clicking a specific call to action. Let them know what’s in it for them. Learners may like to be surprised in certain areas of their life, but not when it comes to a call to action. You need to tell them exactly where they are being directed and what they will be expected to do when they click through. Otherwise, they probably aren’t going to be motivated or confident enough to click. 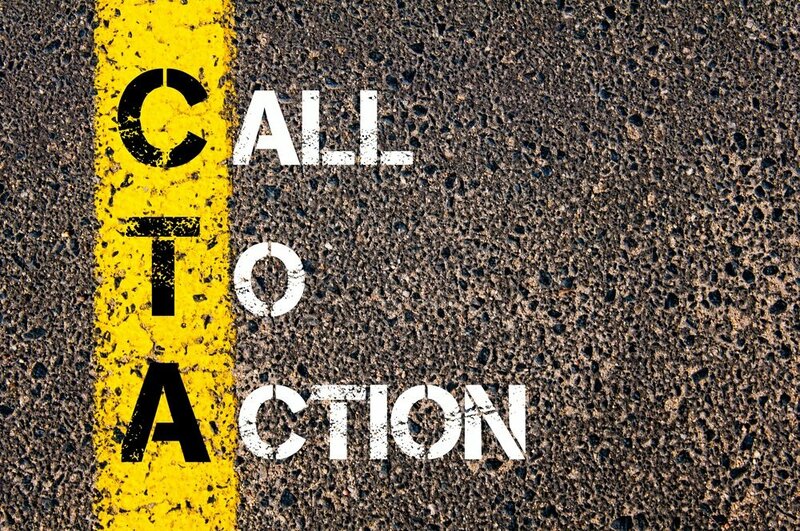 Don’t be vague about where a call to action lead or what comes next. In fact, be as specific as possible, and give them trustworthy and credible calls-to-action that coax them to click through. You won’t have a lot of space to deliver your calls-to-action, so every character counts. Be strong with your wording. Use verbs that inspire and excite, and tell them exactly what you need them to do and how to do it. Remember that your learners have probably been exposed to an abundance of commercial calls-to-action before that were geared toward purchasing products and services. In general, they may be, therefore, hesitant to click on calls-to-action, even if they are related to the eLearning course they attend. This is why it’s all-important to be perfectly clear about the expectations and benefits of clicking through, without being too verbose. These call to action in eLearning tips can give you the power to create exciting and entertaining eLearning courses that pull your learners in, no matter what the subject matter is. They provide you with the opportunity to develop eLearning experiences that connect with them on an emotional level and tap into their subconscious mind, so that learners can walk away from your eLearning course with the knowledge and skills they need to be successful. Interested in discovering additional marketing ideas that apply in the world of eLearning? The article 6 Marketing Tips To Boost Your eLearning Course Sales give you some more ideas on how to expand your market reach.